Something hopeful is happening in the Middle East. Christians in the region are experiencing the most encouraging season of personal security, religious freedom and peaceful coexistence with Muslims in living memory. The media are largely missing this historic development, but it’s worth taking a closer look. In a 2016 cover story in Dabiq—their English-language propaganda magazine—ISIS leaders vowed to “Break the Cross” by annihilating Christianity in the region. But the genocide has been stopped. The US put together a stunningly successful coalition of nearly 80 countries to counter ISIS. True heroes have included the Kurds and the leaders of numerous Sunni Arab countries—among them Egypt, Jordan, Saudi Arabia, the United Arab Emirates, and Bahrain—all of which committed military forces not only to rescue Muslims and Yazidis but Christians, too. Under the impressive leadership of Sisi, Egypt did not plunge into civil war. After liberating his country from the Brotherhood’s reign of terror, Sisi has dramatically improved the security situation. Terrorists are being arrested or killed. Police are protecting Christian houses of worship. And every church damaged or destroyed has been rebuilt at government expense. In just the last two years, an astounding 6,500 churches have applied for permission to operate legally. Of these, 65% have already been visited by the committee tasked with approving applications. About 10% (627 churches) have received formal government approval. The rest are operating freely while their applications are reviewed, since the new law states that the government has no right to close churches that have filed formal applications. Other signs of hope abound. Crown Prince Mohammed bin Zayed recently invited me to bring the first-ever Evangelical delegation to the United Arab Emirates. We were encouraged to learn that more 700 Christian congregations operate freely there, and that Christians constitute 10% of the population. Francis will visit the UAE, the first Roman Catholic leader to ever visit an Arab Gulf country. Serious legal and cultural challenges remain for Christians in the Arab Muslim world. These will take time and wisdom to navigate, much less fix. My point is not to paint a rosy picture, but, rather, to note that Christian leaders throughout the region tell me real progress is being made. They are being invited to meet with Muslim leaders to discuss their problems and explore solutions, and they feel more hopeful than ever. The article by Joel Rosenberg highlights the positive side for the Christian religion in the Mideast. Other sources seem to report differently. So, how free and secure Christians are in the Arab world is subject to debate. 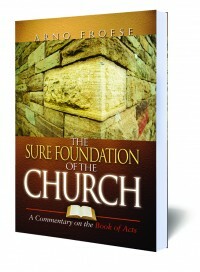 However, what we do know is that the true Church, the one Jesus is building, is going to be completed soon. It is this spiritual house of God which has been under construction for about 2,000 years. When the last “lively stone” is placed in this spiritual temple, then the task of the Church is done. The light of the world shall be removed in order to make room and give free hand to the prince of darkness.